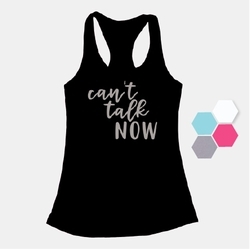 Description: Can't talk or don't want to? 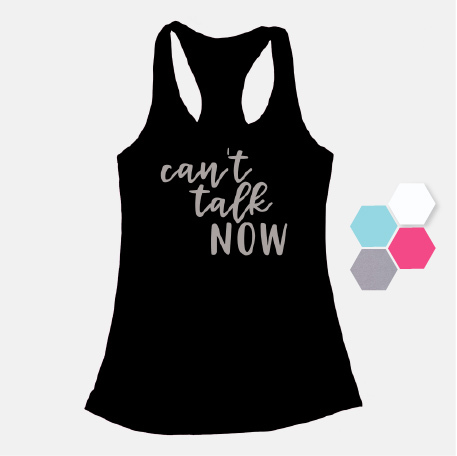 Either way, this racerback tank is hilar and comes in white, black, heather gray, Caribbean blue or hot pink. Text color may vary depending on shirt color. A 40/60 poly/cotton blend, these tanks do tend to run small. 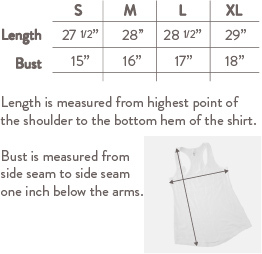 Please refer to the size chart and measure before ordering for most fabulous fit results.